In the Apollo 11 command module below, astronauts Neil A. Armstrong, Michael Collins, and Edwin E. Aldrin Jr. traveled to the Moon and back on July 16-24, 1969. During that mission, humans first walked on the Moon, and Columbia carried the first samples of lunar rocks and soil back to Earth. The heat shield and exterior of the spacecraft are scarred from the 2,760°C (5,000°F) heat generated by entering the Earth's atmosphere at 40,000 kilometers (25,000 miles) per hour. 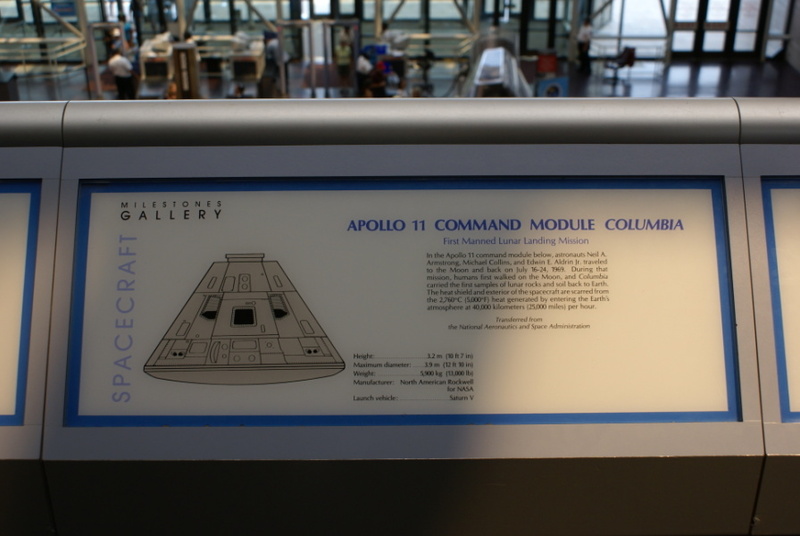 The Apollo 11 Command Module Columbia is NASM catalog #A19700102000.